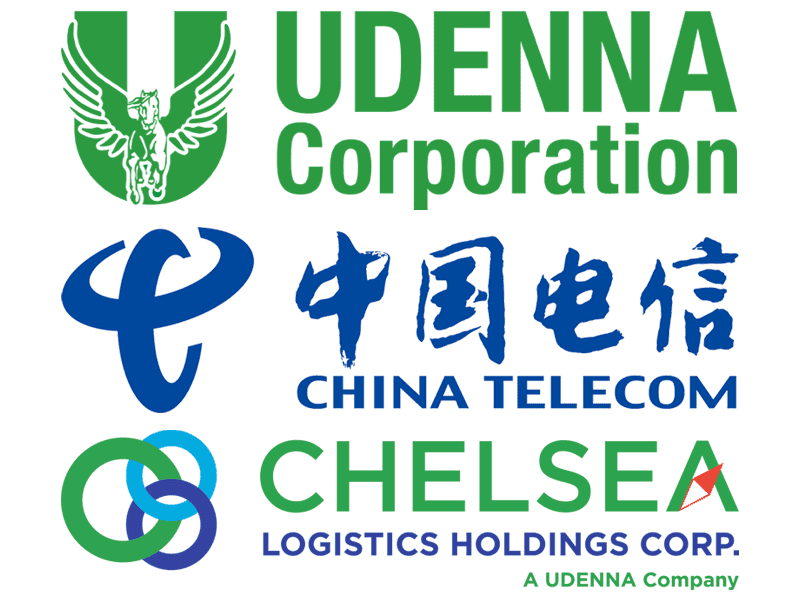 Breaking: NTC announces Udenna-China Telecom (Mislatel) consortium as the provisional 3rd telco player! 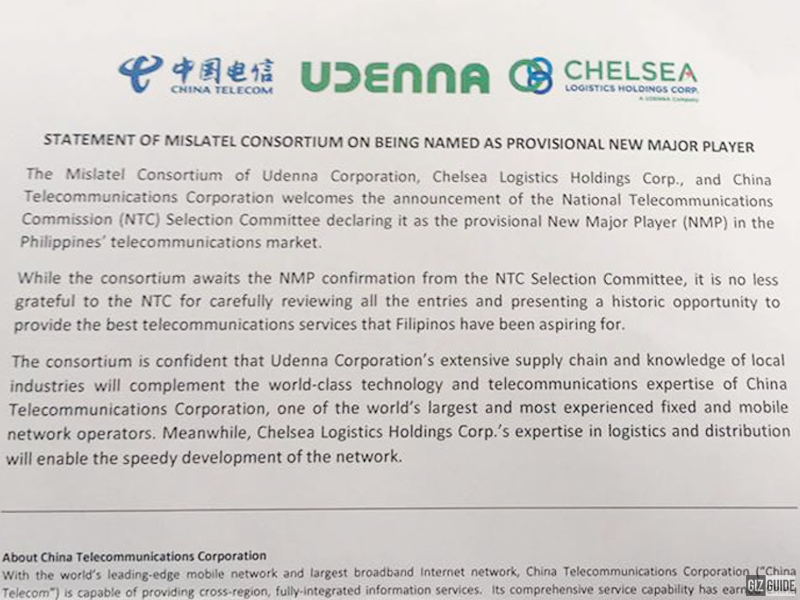 Home / misatel / mobile / news / Breaking: NTC announces Udenna-China Telecom (Mislatel) consortium as the provisional 3rd telco player! NTC just announced Udenna-China Telecom (Mislatel) consortium as the provisional 3rd telco player! The Dennis Uy led companies together with China Telecommunications Corporation provisionally won the bidding for the 3rd major telecommunications player in the Philippines over PT&T and Chavit's LCS-TierOne. The Mislatel consortium include the Chelsea Logistics Holdings Corporation and the Mindanao Islamic Telephone Company. NTC says that Udenna and China Telecom’s bidding documents are "compliant and complete." Mislatel Consortium got a total points of 456.50 out of 500 in the NTC third telco criteria. On the other hand, the LCS-TierOne group, got disqualified due to lack of participation security, amounting to PHP 700 million. We also report earlier that PT&T was also not qualified as it failed to submit all requirements, particularly the certification to prove its technical experience. In case you missed it, China Telecom is one of the largest communication provider in China with over 250 million subscribers. It is also publicly listed in the Hong Kong Stock Exchange and the United States' New York Stock Exchange. Dennis Uy of Udenna is one of the fastest growing holding companies in the Philippines. They are in the business of distribution and retail of petroleum products of Phoenix Petroleum. Mislatel consortium has expressed its appreciation to NTC for carefully reviewing the requirements submitted by different players and the local government agency’s provision of this historical opportunity that will soon aid in giving the Filipinos a better internet and mobile service. The third telco can help Smart and Globe in providing the Filipinos with a more reliable internet connection and mobile service. The other two telco players who lost in the bidding can still file motions for reconsideration within 3 days.